The Scritti Politti classic “The Sweetest Girl” was playing in my mind’s ear while writing. I’ve always remembered an interview with Suggs from Madness who spoke about this recording when Madness released their own version. He described it as a demo. He was right. It still has that etheral 2-in-the-morning 4-track demo to it. “Saving Souls” is track 6 on my album “Other People’s Hats“. I clearly remember writing this late one night in my home studio. Sat at a keyboard I left a simple percussion loop running while I vamped some chords and decided to keep it as simple as possible. 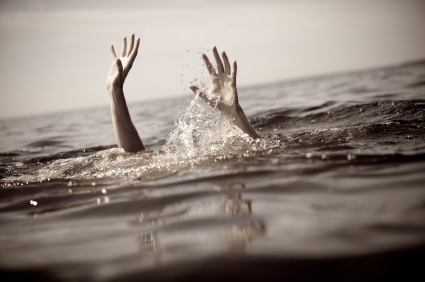 I approached the lyrics by thinking of those Sophie’s Choice situations a parent can find themselves: only one hand to save someone drowning…. trying to keep control of the fast moving car on an icy road…. all that good stuff that surfaces in your nightmares. You too eh? when circumstance is trying to tear their family apart. It can sometimes feel all that’s left for you is to save their souls. The lyric and melody came in minutes. One of those lucky breaks. When you’re in the zone and your writing muscle is well exercised it seems to happen that way sometimes. Recording the song was very satisfying. I kept the original demo which was a simple electronic percussive loop, fender rhodes keyboard and a vocal. I somehow lost the settings for the loop which annoyed me no end. The original idea was to have a Roland CR78 drum machine playing the rhythm. Once upon a time I had one of those drum machines. 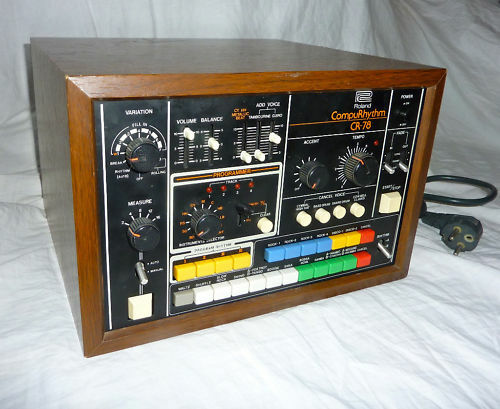 You’ll probably recognise it from that Phil Collins album “Face Value” which features the drum machine on a few songs including “In The Air Tonight” Sometime during early 2012 I located a €5 soft-synth plug-in which gave me a software version of this collectable device. I kept pushing for space in the track and wanted to keep the instruments to a minimum. This is a tricky balance because I also want to keep the listener’s interest up with instruments poking in-and-out between the lyric. Mark played a great bass part on this. One of my favourites of his. We octave doubled the bass and I asked him to channel Tony Levin. In my mind I heard the bass line on Peter Gabriel & Kate Bush “Don’t Give Up“. The bass part does a great job of not playing all the notes. Do you know what I mean? It’s the gaps that matter. Lovely stuff. By this point I knew I wanted two more instruments. Harking back to Phil Collins “Face Value” I have always liked the slide guitar played by Eric Clapton on the track “The Roof Is Leaking“. I called Jude Shiels who obliged with two takes of playing. Nailed it in 30 minutes and left me to edit to my hearts content. Almost there. I had left some gaps for a solo instrument and I knew it was going to be for my old buddy David Mayne who I had last played with in the 1980s. Dave is a truly brilliant sax player and he “got” straightaway what the track needed. 3 or 4 experimental takes and I was left with more virtual tape to edit. We spent a great evening in my studio and referenced some Trevor Horn productions on a couple of Seal albums while building a mix. This was like old times – we’d dreamt of pop stardom in the 1980s. Well… at least I had. Mix completed I gathered some volunteers to spend a day shooting a video. Tony is editing the video… which reminds me I must give him a call. I think this track might be an interesting radio single.